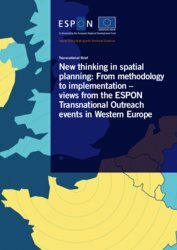 The ESPON Conference “New thinking in spatial planning – from methodology to implementation” took place at the historic Royal Theatre in The Hague to discuss the current trends, policies and research needs for spatial planning in Western Europe. Nicolas Rossignol from ESPON EGTC welcomes the participants to the fifth and final event of the Spatial Planning Roadshow 2018/2019 (Paris, Dublin, Luxembourg, Brussels and The Hague) and presents the latest ESPON applied research activities of 2019, the forthcoming cut-off-date to submit proposals for Targeted Analyses as well as the different capacity building activities proposed to local policy makers (e.g. 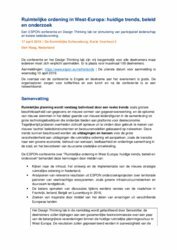 peer-learning workshops, territorial impact assessment tools, webinars…). He introduced both the agenda and the main expected outcomes of the day. 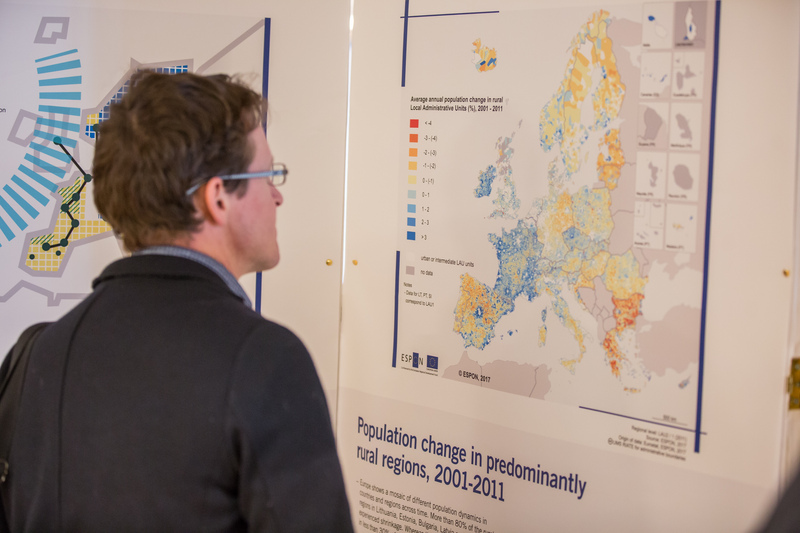 In particular, he highlighted the need to end up with the identification of knowledge gaps in spatial planning and proposals for potential future ESPON research activities. “We can’t solve problems using the same way of thinking we used when we created them”. Mira Bangel from SenseTribe presents the ‘Design-Thinking collaborative approach’ to tap into the collective wisdom and tackle some of the spatial planning core challenges which are affecting Western Europe today. Robert Dijksterhuis, head of the spatial policy division of the Ministry of Internal Affairs and Kingdom Relations (BZK) highlights the evolution of rules and strategic plans in The Netherlands, where multiple challenges and limited space lead to the search of innovative combinations of actions: “Major transitions ask for new, more integrated laws and planning”. 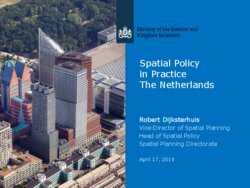 “Good spatial planning starts with embracing complexity” – Emiel Reiding, Ministry of Internal Affairs and Kingdom Relations (BZK) and project leader of the National Spatial Strategy (NOVI), gives an outline of the basics of Dutch spatial planning. While the principles and qualities of territorial policies in the Netherlands have contributed for ranking among the top 5 of countries with the highest quality of life, which challenges are foreseen for the years to come? 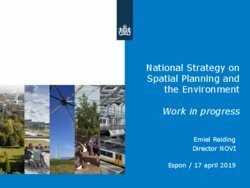 Travelling across the ESPON Roadshow on Spatial planning, a panel discussion brought the contributions from France, Ireland, Luxembourg and Belgium. David Evers, Dutch ESPON Contact Point, shared some concluding remarks about this panel discussion and highlighted some of the key themes that come up: the international component, the fact that territories share common problems and challenges, the balance between integration and focus on the spatial plans, the challenge of implementation. More than concrete answers or conclusions, this session brought a vivid exchange of experiences between the participants. 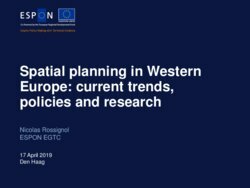 The following session “Contribution from ESPON Research” brought Vincent Nadin, Professor of Spatial Planning at TU Delft, to present the ESPON Compass project, completed in 2018 and revealing a considerable diversity of spatial planning and territorial governance practices in Europe. 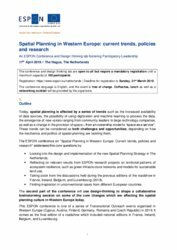 Planning authorities are seeking more integration of spatial plans with sectoral policies, though this is still weak in some critical areas. 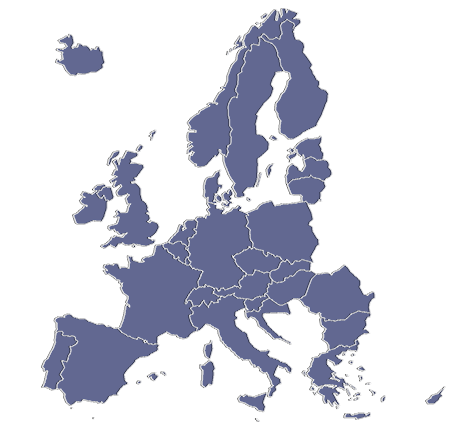 Surprisingly, the links with the EU Cohesion Policy are not strong enough, and territorial cooperation has not had a significant impact on mainstream planning systems. It is time for the EU institutions to make a more concerted effort to engage with spatial planning and territorial governance in the member states. David Evers, leader of ESPON project SUPER– Sustainable Urbanization and land-use Practices in European Regions, shared some initial concepts of this study, which is in a preliminary stage, namely ‘sprawl’ and ‘urbanization’, proposing to challenge their somehow pejorative connotation: “Don’t call it ‘land take’ or ‘sprawl’”. He indicated that the project will rather mainly focus the driven factors for "Land-use changes' (demand-factors, but also supply-factors). The afternoon session “Design Thinking Lab” brought the participants to collectively identify trends and knowledge gaps for spatial planning on specific issues already explored during the previous events of the Roadshow. Using a participatory design thinking approach, participants have engaged on five topic discussions: (i) Sustainable urban development; (ii) Green planning; (iii) Meeting the housing demand; (iv) Energy and climate change; (v) Well-being and inclusion. The objective of the Seminar is to promote the use of existing and new upcoming ESPON territorial evidence in policy-making.